Matt Scrafton trawls through the archives to look back at Blackpool's 6-1 thrashing of Bristol Rovers on February 21, 1987. Paul Stewart’s double in the six-goal demolition of Bristol Rovers made it almost certain that the striker would become Blackpool’s first 20-goal striker for a decade. His brace took him to 16 league and cup strikes -– not only that it gave the Seasiders their biggest home win of the 1986/87 season. The goal-happy youngster has Bob Hatton’s 22 goals in the 1977/78 season in his sights. Stewart has now bagged ten goals in his last 12 matches. He may even fancy, with 18 games to go, gunning for Mickey Walsh’s 26-goal total in 1976-77. The last Blackpool striker to notch 30 in a season was Ray Charnley – a quarter of a century ago. Stewart – enjoying his best season – is rapidly becoming an accomplished striker. He’s beginning to get hooked on goals. When Blackpool were handed a penalty and the chance of a fifth goal against Bristol Rovers, Mark Taylor tried desperately to persuade Stewart to give up the spot kick. Taylor was on a hat-trick, but Stewart barged sentiment aside to score himself. Blackpool could have reached double figures despite making a shaky start to the game. It took them 20 minutes to force the breakthrough. Neil Matthews’ corner flew to Taylor at the far post and his headed goal was the key the floodgates being burst wide open. Taylor coolly slotted home the second goal even minutes later after Andy McAteer and Stewart set him up, showing a masterly finish from a sharp angle. It was the first time Blackpool had scored two goals at home in the first half since Wigan’s visit in September. Taylor could have had his hat-trick in the first half but was kept out time and again. Mike Davis headed a magnificent third goal on 42 minutes, one of his best at Bloomfield Road for many a day. Taylor and Stewart carved open the Bristol Rovers defence with a superb exchange and Brian Butler whipped in the cross for Davies to power home. Craig Madden almost made it four and Taylor was clean through on goal only to be barged down on the edge of the box near half time. Blackpool played some brilliant football in the second half. But Matthews’ sloppiness let David Mehew in for a 67th-minute consolation goal but Madden restored the three-goal advantage by lobbing home the fourth a minute later, set up by that man Stewart. Blackpool carved a glut of chances in a storming start to the second half, Taylor going closest with a header. Madden and John Deary were denied before Taylor was brought down chasing his hat-trick and Stewart converted the penalty on 78 minutes. Taylor’s glorious free kick was just pawed over the top but Blackpool hit Bristol Rovers for six when Deary’s curling free kick a minute from time enabled Stewart to dive through a ruck of defenders to head home. Stewart now has 16 goals to his name, Taylor 11 and the whole side is buzzing again after a run of five games without a win. Some of the football was sheer magic, although there remained holes in midfield which a better side than Rovers could have exploited. The Seasiders were dealt something of a blow in the wake of this match, when it was revealed there had been a flu outbreak in the camp of their next opponents Fulham. 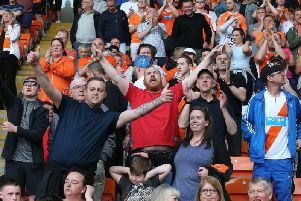 Blackpool had slaughter on their minds after putting six goals past Rovers to get right back in the promotion frame. Fulham meanwhile sank to a 3-0 defeat at Middlesbrough and have the division’s defensive record. A second win on the bounce would put Blackpool in a powerful challenging position. 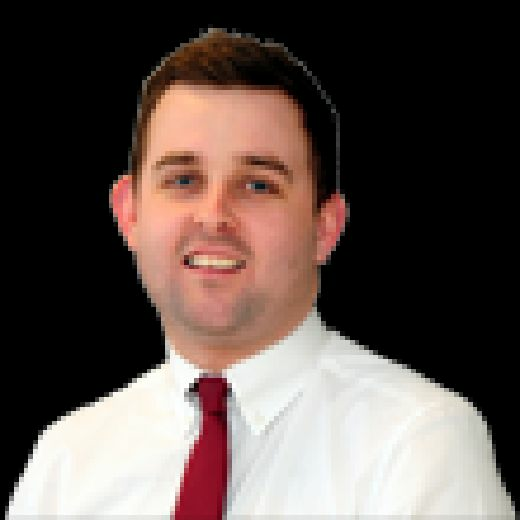 A postponement would leave them with two away games in the space of just four days, at Port Vale on Saturday and Bristol City the following Tuesday, which could entirely alter Blackpool’s say in the promotion stakes.